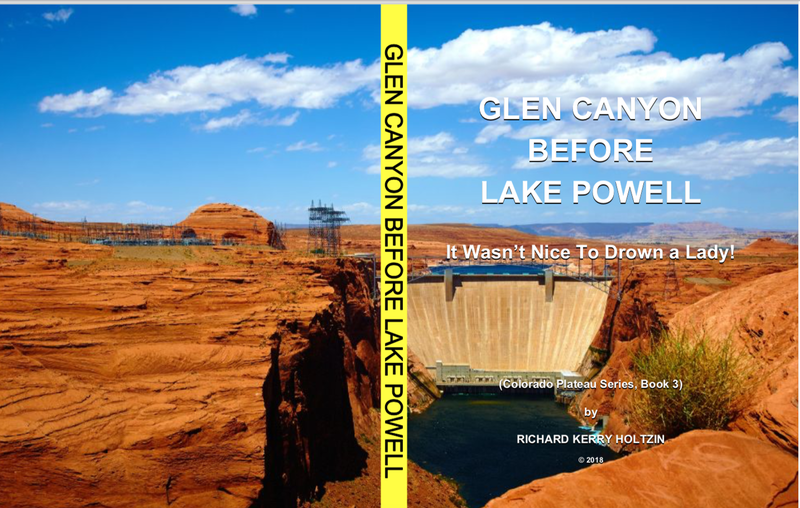 GLEN CANYON BEFORE LAKE POWELL, subtitled It Wasn’t Nice To Drown A Lady!––relates a narrative of the most pristine canyon in the Southwest whose interior habitat was inundated by the deep waters of Lake Powell, starting in the late 1960s. Hence, a quiet, remote canyon abode most people never visited before today’s Glen Canyon National Recreation Area opened its tours to mega-millions of tourist. Thus, canyon environs turned aquatic playground. Accordingly, the Glen Canyon-Lake Powell oasis in the Great Basin Desert sector of southeast Utah is what some visitors assume is the original design of nature. The fact is, Glen Canyon denotes the second-longest canyon initiated and carved by the Colorado River and later eroded over millions of years. It follows how there are two Glen Canyons: the original template of nature, then much later in time this finely sculptured masterpiece of nature was deemed suitable for a basin and storage retrofit as mandated by the Bureau of Reclamation. When the Glen Canyon Dam closed its gates, some twenty years later (the early 1980s), a sprawling lake nearly 200 miles (322 km) formed by its massively thick, high wall. By impeding the flow of the Colorado River in this upper sector of its drainage, this principal drainage of the Colorado Plateau Province was forced to reverse its course. While the Bureau and the fledgling town of Page, Arizona celebrated the basin storage and hydroelectric dam facilities, hundreds of backcountry scenic haunts were lost forever, along with some three thousand archeological ruins that were destroyed. Then again, the so-called recreation area opened its doors to millions of annual tourists (year-round) and most visitors came for the dramatic scenery and cruising up or down lake in a variety of watercraft. The Bureau, like the Page Chamber of Commerce, called it progress while conservationists and Glen Canyon aficionados of old called it a damn environmental sin. The narrative of Glen Canyon Before Lake Powell is presented in three parts: the Before, During, and After aspects. The first part is based on a film-documentary of a 1959 rafting trip through Glen Canyon’s halcyon interior just before the Bureau of Reclamation closed the river to rafting. The rustic 16mm movie was made by the acclaimed Grand Canyon author and hiker, George Steck. He called the movie Beauty Lost, which he later bequeathed to me (first, as a VHS format, and later a DVD format). I also felt his epithet was an apt title for the first part of the narrative. In George’s time, and for millions of years up to his rafting party floated through the interior, Glen Canyon was a remote canyon seldom visited by people throughout the late 19th-Century and the continuing 20th-Century. Such visitation also includes regional locals from places like Kanab, Utah and Flagstaff, Arizona. For one thing, there were very few roads in this vicinity of southeast Utah and northeast Arizona. For another, the Grand Canyon National Park, which is not too far downstream from Glen Canyon, was fast becoming the Southwest’s most prized scenic icon and national park, starting in the early 20th-Century. By comparison, Glen Canyon was never selected for a protective Federal Government status; not even designated a national monument. Of course, had one or the other declaration been granted, a changeover from the canyon’s natural habitat to a so-named blue bathtub and tourist’s haven would never have happened. Apart from the1940s and 50s rafting excursions through Glen Canyon’s halcyon interior, where the Colorado River was akin to smooth, brownish-colored water from one end of the canyon to the other, cowboys herding cattle and Navajos herding sheep were the primary visitors. There were also relatively few hikers and backpackers venturing into the canyon’s backcountry, as well as archeological expeditions underwritten by universities. Early on, aspiring miners attempted dredging operations in the canyon (late 19th-Century to the early 20th-Century), expressly for gold. As it turned out, what the miners sought amount to gold dust washed down from the Rockies, yet it was too fine and too little sources to afford the huge cost of the various mining camps. Thus, the miners eventually sought elsewhere for such potential riches. Even locals from regional small towns and cities were few and far between (though, of course, Glen Canyon’s interior haunts were sought after by hikers, backpackers, and photographers). However, in Prehistoric times, sectors of Glen Canyon’s interior were occupied by the Anasazi (also known as the Ancestral Puebloans). Their numerous encampments, gardens, and small farms were scattered throughout the canyon. One of the most celebrated archeological ruins, Defiance House, was occupied between 1250 and 1285 (marking the Common Era). There were also other earlier encampments though it is not known how long the Anasazi culture lived and farmed in the canyon. Given Glen Canyon’s brief and concise overview of human habitation and visitors, David Brower, the Director of Sierra Club from 1952 to 1969, championed the celebrated photographer Eliot Porter’s designation, The Place No One Knew: Glen Canyon on the Colorado. Brower was also the renowned and feisty conservationist who attempted to thwart the Bureau of Reclamation’s plans to build the Glen Canyon Dam, which was also the first mega-sized bulwark of cement and rebar hobbling the upper drainage sector of the Colorado River. The second part (“During”) of Glen Canyon Before Lake Powell explains and amplifies all these details, as well as the consequential aftermath of the great inundation of Glen Canyon’s bucolic interior. The literal cover-up of The Glen, as the canyon was labeled by aficionados, has always remained a topical environmental subject. Indeed, part three’s (“After”) ensuing diatribes and polemics fought by both sides of the Glen Canyon-Lake Powell issue that began in the late 1950s continues to fuel today’s environmental controversy, especially Lake Powell’s ongoing environmental problems (i.e., a steady buildup of silt accumulation on the bottom, including the abrupt changes to the Grand Canyon’s interior due to extremely low water temperatures caused by the dam. 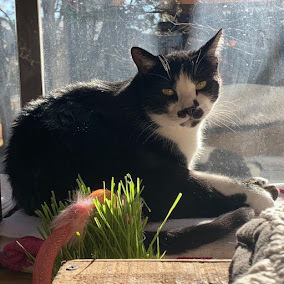 Moreover, the consequent environmental issues that have arisen since an epic drought set in sometime during the early 1990s continues drawing down lake levels, as well as Lake Mead, which is at the other end of the Grand Canyon. Accordingly, not only are both reservoirs much lower since the 1990s, especially considering their original full pool levels when each basin was fully formed, today’s revealing telltale mineral scars simulating a wan-colored bathtub ring is most assuredly a reminder how a pervasive and enduring drought plus an excessive demand for water stored in desert environs is also subject to constant evaporation by the sun. This fact is especially critical for Lake Powell whose sedimentary terrain augments the problem because sedimentary rocks are porous. Excessive and constant leakage results in waster water. Lake Powell’s basin is also slowly and steadily accumulating sediment on the bottom. Thus, Lake Powell is constipated and choking on aggradation. As a title, GLEN CANYON BEFORE LAKE POWELL plainly reveals the theme of this comprehensive text. Its narrative also comes down to the salient point how Glen Canyon’s designated basin storage project turned out to be the wrong place to build a dam (i.e., due to aggradation and evaporation due to the climate in this region––see below for more details). As for the subtitle, the environmental impact over the last few decades substantiates this claim. Moreover, not only is Lake Powell likened to an inland Dead Sea given its alarming silt accumulation, but also the ruinous changes wrought by Grand Canon’s riverine corridor due to the dam cold water released from the dam. Thus, Glen Canyon’s habitat was sacrificed and has become a heated and topical issue over the years, where people on both sides of the issue constantly argue to either preserve the status quo of a dam and basin storage or dismantle the dam and return Glen Canyon to its original appearance, and the way Nature intended. Glen Canyon Before Lake Powell is revealing given every detail explained in all three parts of the text. The Before, During, and After aspects are objectively portrayed and the text is not intended to garner support or objection for either side of the Glen Canyon Dam issue that amounts to the Friends of The Glen on one side and the Friends of Lake Powell on the other. Rather, the information fairly represents both Glen Canyons: the original habitat and the retrofit of a dam and basin storage that created not only an aquatic paradise for tourism but also the metropolis of Page, Arizona, surrounded by the Navajo Reservation. Page was also initially built by the Bureau of Reclamation, and later became a fledgling town of tourism overlooking the blue water stain below the rising backdrop of Glen Canyon’s tan-colored walls. 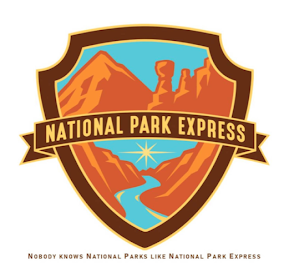 Today, millions of people flock to Page and utilize Lake Powell for many reasons, especially exploring its vastness on a variety of boats (mainly, houseboats). A very informative book of a canyon that I love. I am bittersweet about the Lake. I do love boating and have had more access to the canyon since the flood. I enjoyed this book very much.